In plain English, probiotics are a type of living bacteria that actually benefit your health when taken in the appropriate amounts. These friendly bacteria, located in the gastrointestinal tract, come in a variety of forms. With more than 400 different bacteria living in the human gastrointestinal tract, the most common forms of intestinal probiotics are Lactobacillus Acidophilus and Bifidobacteria Bifidum. These bacteria act as balancing agents for non-friendly, pathogenic, gut-bacteria such as Candida or E. Coli. When the “good-guys” are not present enough, a number of bacteria-related health problems such as digestive upset, headaches, sluggishness, irritability, candidiasis (an overgrowth of the bacteria Candida albicans), and even anxiety can ensue. 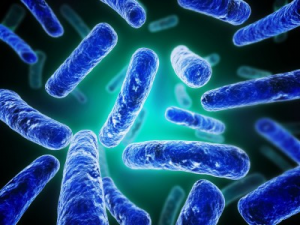 Lactobacillus Acidophilus is quite possibly the strongest of our probiotic fighters. Studies show that L. acidophilus actually creates a natural form of antibiotics in the body. This natural antibiotic increases our ability to produce antimicrobial action against the pathogens in the food we eat, the air we breath, and the things we come in contact with. Stress, unhealthy lifestyles, and most importantly, unhealthy acidic diets, destroy our natural amounts of probiotics. In this sense, it is a great idea to add a probiotic supplement to your diet. There is no question that candidiasis sufferers require supplemental use of probiotics to replenish beneficial GI bacteria and rebuild the immune system. Even if you don’t have candidiasis, environmental and food toxins coupled with the high-stress lifestyle of most Western nations are good indicators of the widespread need for probiotics. This is especially true if you are consistently taking antibiotics, or if you have ever been on a course of particularly strong antibiotics, have frequent colds, or exhibit any symptoms of candida related problems. The reason for this is that antibiotics kill bacteria, both good and bad. Despite their value, antibiotics have been overused to the point that there are at least two bacteria that have developed complete resistance to antibiotics. Needless to say, these bacteria present a serious problem to our health. Currently, I recommend and use 2 forms of probiotics: Standard Process’s Prosynbiotic and Dr. Mercolas Bacillus Coagulans strain. I have tested many products and these seem to work the best, especially for taming candida and balancing the bowel bacteria. Standard Process products are available at Sausalito Healing Arts boutique. Be sure to avoid probiotic supplements that have sugar or glucose in the ingredient list. Both sugar and glucose actually slow the growth of healthy lactobacilli. We can also get moderate levels of probiotics from a healthy diet rich in cultured organic products like yogurt, goat’s cheese, kefir and buttermilk. Many common leafy greens are also excellent sources of probiotics. The best greens for increasing probiotics in the body include chlorella, wheat grass, and spirulina. The advantage of getting these disease-fighting bacteria from green sources is that these foods are also extremely high in immune system-stimulating vitamins, minerals and nutrients. They also aid in detoxing the body. Dr. Edward F. Group founded Global Healing Center in 1998 and is currently the Chief Executive Officer. Heading up the research and development team, Dr. Group assumes a hands-on approach in producing new and advanced degenerative disease products and information. Dr. Group has studied natural healing methods for over 20 years and now teaches individuals all around the world. He no longer sees patients but solely concentrates on spreading the word of health and wellness to the global community. Under his leadership, Global Healing Center, Inc. has earned recognition as one of the largest alternative, natural and organic health resources on the Internet.